Globe is giving Samsung Galaxy S4 for free under Postpaid Plan 1299. 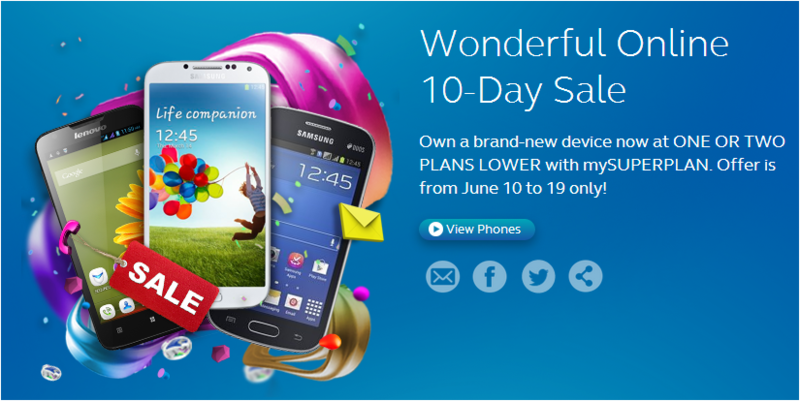 This is part of the Telco’s Wonderful 10-Day Sale where you can get cool gadgets bundled for an affordable plan. This is an online exclusive promo which means you will need to accomplish an online application that’s only available via www.globe.com.ph. Promo runs until June 19, 2014 only and open to new and existing subscribers. The Galaxy S4 is free at Plan 1299 which was previously at Plan 2499. You can also grab two devices for free in one plan like Samsung Galaxy Tab 3 Lite + Samsung Trend Lite smartphone (Tablet + Phone) and alternatively, 2 Samsung Trend Lite phones for free at Plan 999. You can check their page for more info.